The man accused in the shooting death of a woman in Capitol Heights knew the victim and may have been trying to rob her, Prince George's County police say. Jan Cotto, 51, was walking near her home on the 200 block of Zelma Avenue on April 6 when Christopher Carl Green tried to rob her, police said Thursday. Neighbors said Cotto lived in a nearby boarding house and had recently moved in. They described hearing a barrage of gunfire. Her body was found lying in the roadway. 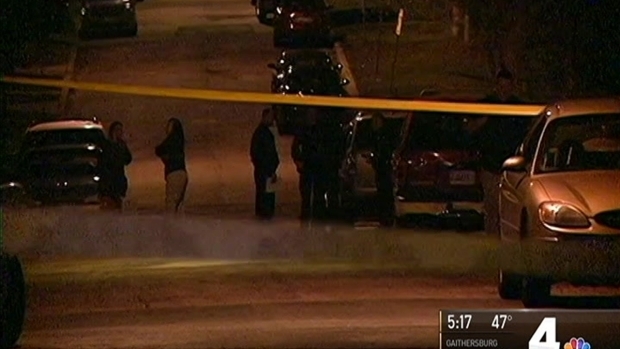 A woman was found fatally shot in a road in Capitol Heights. News4's Chris Gordon reports on who she was and what police know so far. Neighbor Patrick Green said Cotto recently had spoke about looking forward to starting a new job. "I know she was excited about it, because she was kind of down for a little while, not having a job," he said. Police believe she may have been walking to a Metro station to head to work when she was killed. Police say Green and Cotto knew one another. Green is facing first and second degree murder and other related charges. He is being held with no bond.